The energy payback time (EPBT) is the time an energy source needs to function before it has generated the energy that was required to manufacture and install said energy source in the first place. 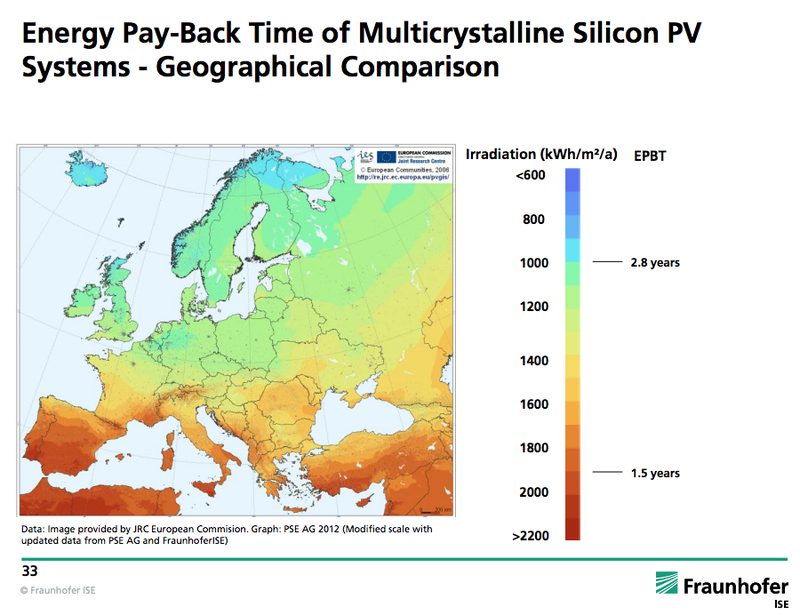 The Fraunhofer Institute produced some interesting graphs showing that the EPBT for solar panels is remarkable low, even less than a year for southern European locations. Encouraging is that the EPBT has come down considerably over the past years. Currently solar panels exist with a EPBT of 6 months. For an economic lifetime of 30 years, this implies an EROEI of 60, which is spectacular. Siemens is to build five large wind parks in Iowa/USA, turnover $1B, 448 2.3 MW Turbines, 1.05 GW. This is the largest order for land-based wind energy ever, to be completed in 2015. Weather conditions are such that already wind power can compete with the booming shale business. Total installed US wind capacity by the end of 2012: 60 GW, with 13 GW built in 2012 alone. 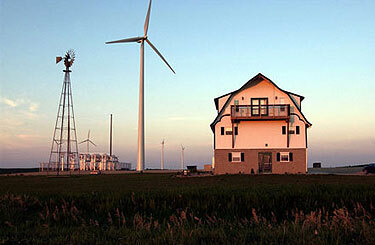 Iowa is one of the leading wind regions of the US, with 25% of the electricity coming from wind.